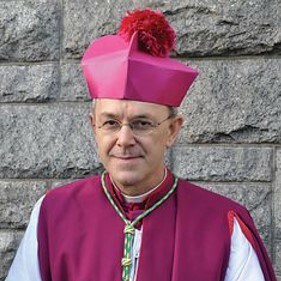 Bishop Schneider understands very well what it means to be part of an “underground Church.” He was born in the Soviet Union to ethnic Germans from Ukraine and, after World War II, young Anton (his name at the time) Schneider’s family was sent by Stalin’s regime to a gulag in the Ural Mountains. There they became closely involved with the underground Church, and when his family was finally released from the concentration camp, they left Central Asia for Estonia. In 1973, shortly after making his first Holy Communion in secret, His Excellency emigrated with his family to West Germany. In 1982, he joined the Canons Regular of the Holy Cross of Coimbra in Austria, where he took the religious name of Athanasius. He was ordained a priest in 1990, and on June 2, 2006 Father Athanasius Schneider was appointed a bishop by Pope Benedict and later that same year consecrated Bishop at the Altar of the Chair of Saint Peter in the Vatican. He is a champion of the Holy Eucharist, having years ago distinguished himself by outspoken resistance to Communion in the Hand. He is also quite candid about the fact that all of his private Masses are the TLM. 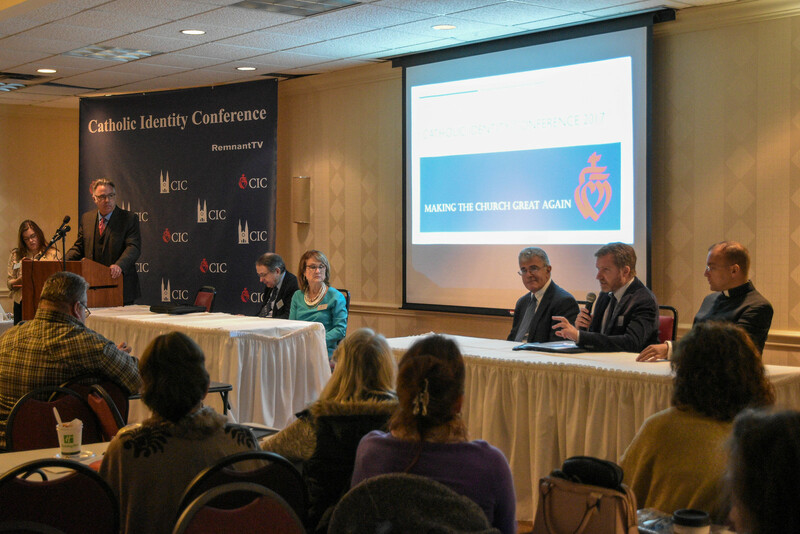 Subscribe to the Catholic Identity Conference On-Demand and watch some of the most powerful talks of the year--including Bishop Schneider's keynote! Plus, a short video history of The Remnant (featuring vintage footage). He has supported traditional Catholics all over the world, including those associated with the Society of St. Pius X. Together with the bishops of Kazakhstan, he was among the first to issue a statement of resistance to the errors of Amoris Lateitia, and has celebrated high profile Traditional Latin Masses on both sides of the Atlantic— for example, on the Chartres Pilgrimage two years ago, the Blessed Karl Mass in Washington, D.C. just this year, at the Shrine of Our Lady of Guadalupe in Wisconsin last month, and most recently at the Catholic Identity Conference just outside of Pittsburgh, PA.
His Excellency’s keynote address was perhaps the highpoint of the CIC, by the way, and it is available (along with the other talks and interviews from the conference), as part of the CIC On-Demand video package. Readers can subscribe to that package HERE.